Starting Spring 2019, the “55+ Tuition Discount Program” allows students who are age 55 and older to take one 3- or 4-credit non-art course per semester for $150, all fees included. The $150 tuition rate will apply to the first non-art course that a 55+ student enrolls in each semester. Northern also offers a special Community Rate for art classes of $100 per credit hour, or $300 for a typical art class, all fees included. 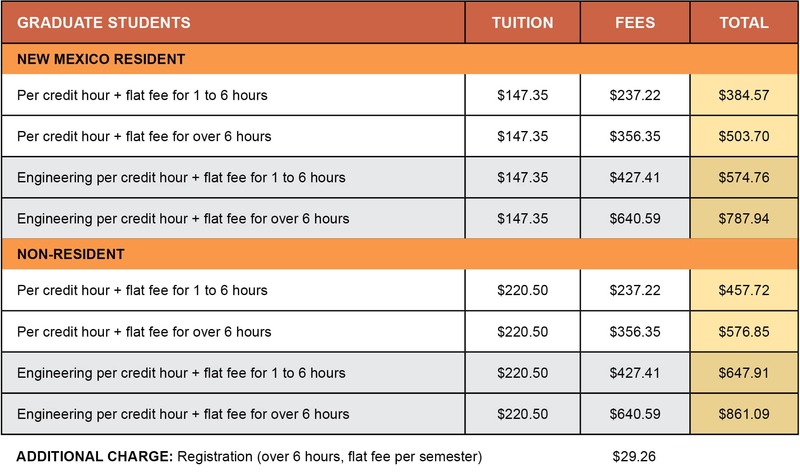 The Community Rate is designed for non-degree students of any age who are taking 6 credits or less. Credit Hrs. 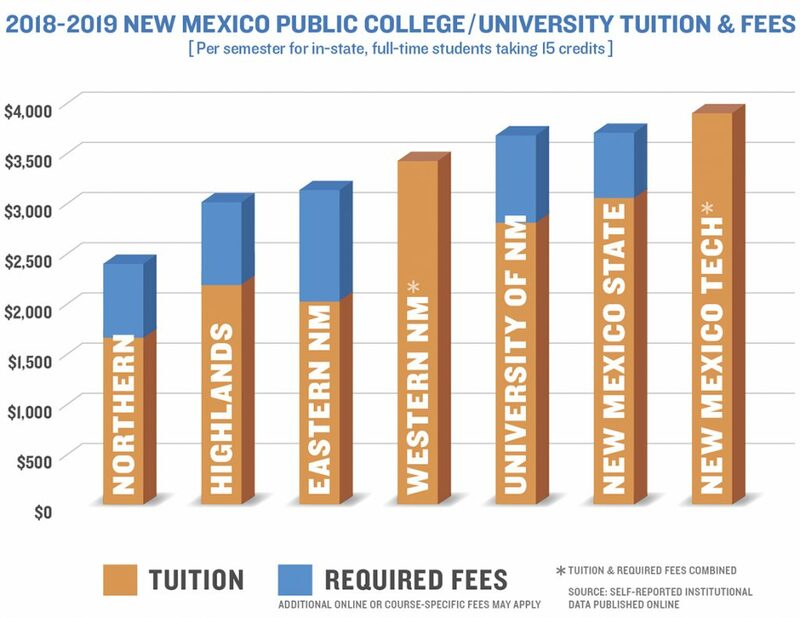 NNMC NMHU NNMC Scholarship Amt. 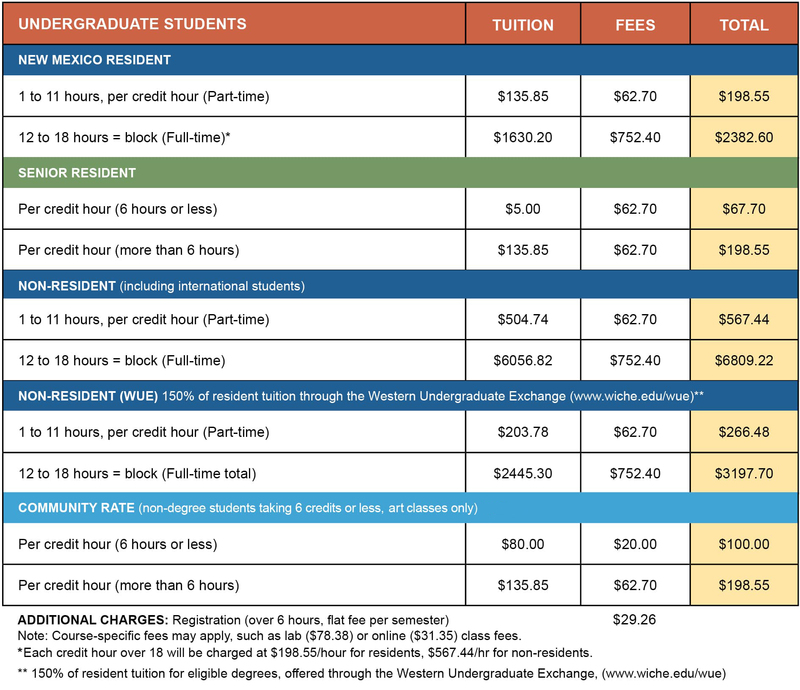 Try our Net Price Calculator to estimate your cost to attend college.